Keep6 Imports is excited to present the official launch of Cascade Brewing Co. of Portland, Oregon in Ontario. 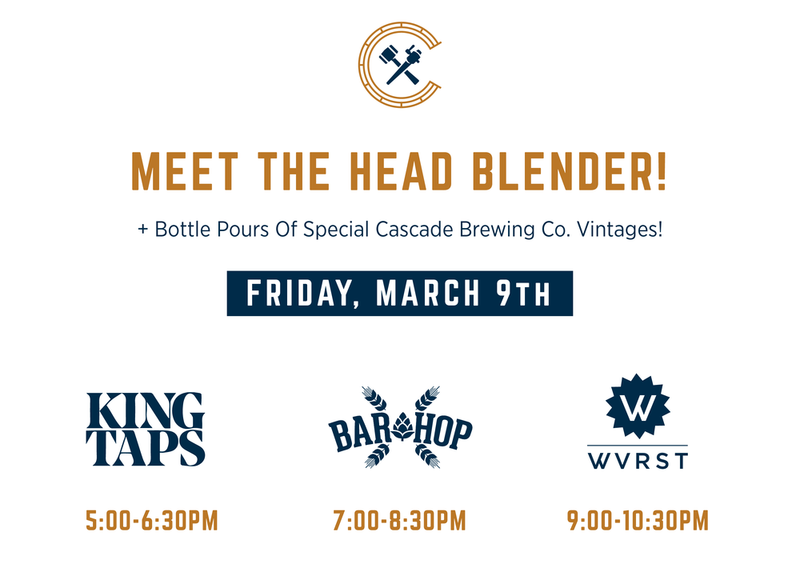 Head sour blender Kevin Martin and VP of Sales & Marketing Tim Larrance will be in town promoting the first retail bottle release of Cascade Brewing Co. in the province. See below for details! On Saturday, March 10th, 2018 starting at 12:30pm the following three beers will be available (by the single bottle) at Summerhill LCBO in Toronto: Cascade Manhattan NW ’15, Cascade Apricot ’16 & Cascade Sang Du Chene ’15 for a special limited release. The Cascade and Keep6 crew will be in attendance at the growler station inside the store pouring samples of Apricot '16 until 2:30pm. On Friday, March 9th, 2018 we will be bar hopping around town pouring special vintage beers at the following bars: King Taps (5-6:30pm, Sang Royal ’17, Framblanc ’17 & Vitis Noble ’17), Bar Hop Brew Co. (7-8:30pm Blackcap Raspberry ’14, Elderberry ’13, Noyaux ’14) and WVRST (9-10:30pm Apricot ’14, Manhattan NW ’14 & Sang Rouge ’13). Almost 100% dedicated to sour based beers, Cascade has been instrumental in solidifying the style as one of total importance within the United States brewing scene. Local fruits from the bountiful Oregon growing regions are used whenever possible, spirit barrels contribute to the distinct characteristics of many blends and the overall focus of offering lively, sour, beers defines the creations from Cascade. Keep6 imports is an independent beer import agency based in Toronto. We represent a handful of small breweries from Canada and abroad within the province of Ontario. Our goal is to import beers from unique pockets of the world that are distinctive – ones with a sense of region, tradition and innovation. Simply put, we are always on the lookout for good beer.